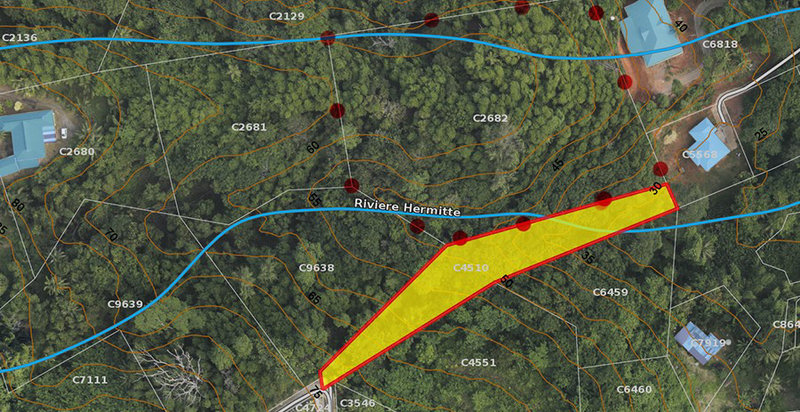 of the property which is indicated in yellow. For the access issue, see the next plan. The long branch of the river is less prone to be dry during the dry season, but still has some dry spots, while the short branch of the river is really seasonal (rainy season), or during the heavy rain situation. 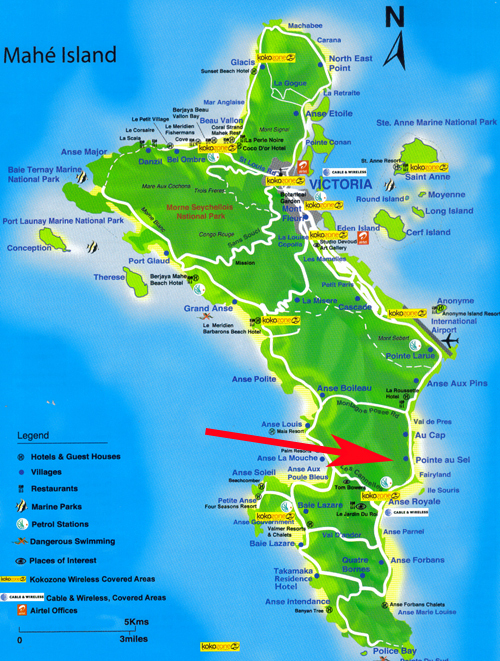 The parcel is indicated by the 5 red spots. 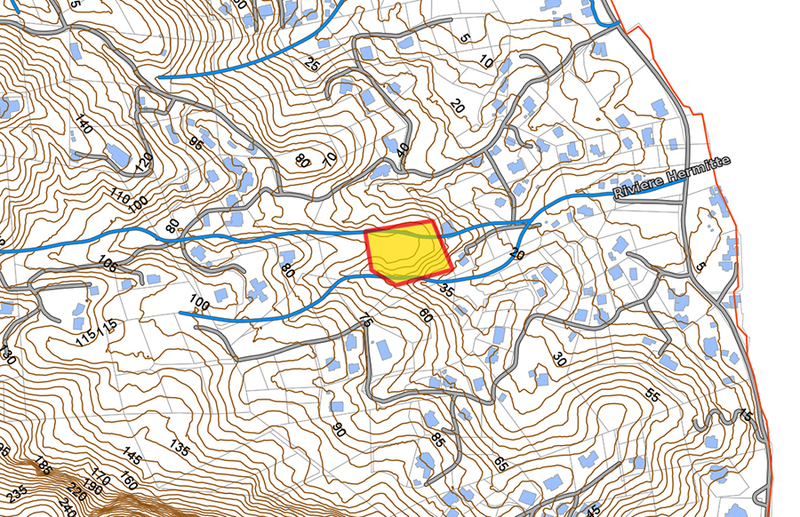 One can see the yellow area which is a marked area for building an access road to neighboring plots. Presently the construction of the reod is on going. It means that the owner of the parcel can build an access to go on the land without much complication and a small bridge passing above the short branch of the river. A closer look at the contours. you can see clearly that the house on C2680 has a motor able access. the contours show that it is quite a simple task. Nevertheless I also like the option of the access through a small bridge as discussed earlier. Conclusion: a great property in a great environment at a reasonable price to build your dream.